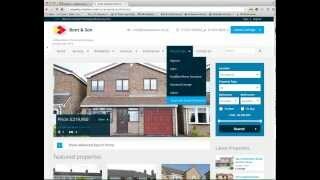 Written by cleartarn CMS on March 6, 2014 in cleartarn Blog, cleartarn Content Management System, Estate Agents Website System, Property Portal Feed, Real Time Data Feed, Search Engine Optimisation (SEO). cleartarn's Property Management Content Managed Website system provides probably the most complete package of software for Estate Agents currently available. The multi branch, multi user system allows the creation of property pages on the website with sophisticated search engine optimisation built into the system and automatically implemented as pages are created. The system has a host of new innovative features including QR Codes and short Bitly links for each property, together with precise Google mapping and Google Street View location.